Taj Mahal is an American blues singer-songwriter and musician. Henry Saint Clair Fredericks, Jr. was born in 1942 in New York, and grew up in Springfield, Massachusetts. He grew up in a musical family, his parenst having backgrounds in both gospel and jazz, and from an early age was also exposed to music from the Carribean and Africa. He learned many instruments, taking up the guitar aged thirteen, and later went to the University of Massachusetts - he almost pursued farming as a career instead of music. However in 1964 he made the move to California, having decided to be a full time musician, and took up the unlikely stage name Taj Mahal. He formed a group called The Rising Sons, a racially integrated blues / roots band, with Ry Cooder, Jesse Lee Kincaid, Gary Marker and Ed Cassidy. They had a record deal with Columbia Records but never released an album at the time, and broke up before long (an album of their recordings finally saw release in 1993). He did end up staying with Columbia though when they offered him a solo contract. 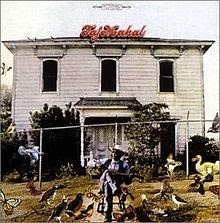 His debut album, Taj Mahal, was released in 1968. It was pure blues music, and mostly covers of well-known blues tunes at that, but it managed to come out fresh, lively and interesting, with a rootsy stripped-down style. Taj sang and played slide guitar and harmonica, and was helped out by Jesse Ed Davis on lead guitar and piano, his old bandmate Ry Cooder on guitar and mandolin, bassist James Thomas and drummer Chuck Blackwell. Such a awesome blog nice article Thanks for create this blog and beautiful post. golden triangle tour 3 days is the best tour of india.luxury facilities also included. if you want to explore the culture of india than book golden triangle tour 4 days .visit Delhi,Agra,Jaipur cities of india.luxury accommedation. Such a awesome blog nice article Thanks for create this blog and beautiful post.but golden triangle tour 5 days is best tour of india.all inclusive. golden triangle tour 6 days is very famous trip. such a nice information glad to read to it . Page strong sympathetic, easy reading. This site is really not bad, as well as the articles present pretty good wholesale, good continuation! Amazing experience you shared of your taj mahal trip. its really awesome and same day agra tour by car is best option to travel agra at very affordable price. Good post you shared about taj mahal. It is one of the best tour to destination in india which is famous for love. Taj mahal moonlight tour is one of the best tour to visit all popular destination of agra. An amazing post you shared about taj mahal and same day taj mahal tour is best tour to visit agra from delhi. A professional guide also include that tour. India is best tourism place and there is many of best places for travel . for more reliable and easy travel in India. Agra is the best place to travel in India. Taj Mahal is the most famous heritage monument and included seven wonders of the world if you want to visit taj mahal than Same day Agra Tour by car is the budget tour with lot of adventure. There is a very famous Travel Agency in Delhi India by the name of Ghum India Ghum they have all current and latest information about different destinations. agra day tour, taj mahal tour by car is the best option to travel in Agra. It cover all the famous places, monuments and forts in Agra. Thank you so much for sharing this information. same day taj mahal tour by car it is the best option for everyone to see the all monuments in Agra like Taj Mahal, Red Fort, Baby Taj and other. All the photos and stuff you shared in this blog is really very good. I am glad to read your blog. Good post you shared about that beautiful place and it is looking beautiful. Awesome photos you shared. Wow, Thanks for sharing this beautiful picture in this article. Agra has many beautiful building like Sikandra, Red fort and symbol of love Taj Mahal. same day taj mahal tour by car is the best way to explore this city, Agra. It takes you to all the famous places of Agra. Good blog with informative pictures, we provides Tempo Traveller for vaishno devi ,hire Tempo Traveller for vaishno devi ,Tempo Traveller booking for vaishno devi ,Rent Tempo Traveller for vaishno devi ,Bus rental services for vaishno devi ,bus booking for vaishno devi for easy travel. Great post! Thanks for sharing it. If you want to go Agra then book this trip Same Day Agra Tour is budget option to reach agra at very affordable price. Golden Triangle Tour with Varanasi is the best option to experience the religious and historical place in India. If anyone want to know about this trip then book this trip with us. Nice article. Its really very nice article. Keep sharing. Delhi, Agra, Jaipur has always been a favorite tourist spot. The best way to experience this miscellany of India is to option for the Golden Triangle Tour with Varanasi is the best tour to travel. If you are looking comfortable day trip to Agra create remarkable experience with our Same Day Taj Mahal Tour. Exclusive Deals For Same Day Agra Tour by Train, One Day Taj Mahal Tour, Same Day Taj Mahal Sunrise Tour Which Provide Budget & Luxury Private Day Tours ✓ 24X7 Support ✓ By Car ✓ By Train. Awesome images and Articles. it's very informative for us. Old Delhi, once known as Shahjahanabad, was to a great extent his origination, and the two essential landmarks in the city, Red Fort and the Jama Masjid, are the two demonstrations of Mughal structural sensibilities at their tallness. There is really a great post about Taj Mahal, you are looking forward to seeing all the images, after reading your articles, I am also planning to travel to Agra Taj Mahal. Thanks for sharing this post, it's really amazing. Agra is the best place to see the beauty of Taj Mahal at sunrise. It is the symbol of love. Anyone want to see the beauty of Taj then book this trip with Sunrise Taj Mahal tour is the best option to travel. golden triangle tour with khajuraho and varanasi best tour package for those tourist who wants to visit Agra delhi jaipur and other north indian destination. Thanks for sharing this amazing article, but do you know this truth, In the evenings, the Taj can appear translucent blue. Special tickets are even sold for full moon and eclipse viewings. Really great information that you have shared. same day taj mahal tour good tour services in Agra for visit taj mahal. The Taj Mahal displays golden proportions in the width of its grand central arch to its width, and also in the height of the windows inside the arch to the height of the main section below the domes. Great post! Thank you so much for sharing this post. if you want choose a good tour package for your day trip than try same day taj mahal tour will take you the Taj Mahal in Agra at very affordable price. Agra is the best place to travel and it is top tourist destination in India. You will see the Taj Mahal at night with Taj Mahal moonlight tour package. The Taj Mahal's white marble is rapidly turning yellow because of terrible air pollution in Agra. Taj Mahal seems more and more Beautiful at sunset time. Golden Triangle Tour With Ranthambore best option for choose a good tour package. Luxury golden Triangle Tour package is specially designed tour package by Delhi Agra Jaipur Yatra which is connecting three famous heritage cities of India that are nation's capitral Delhi, city of love - Agra and Pink city Jaipur. If you are planning a tour or visiting first time to India for exploring incredible India then these cities are must visit destinations. In luxury Golden Triangle Tour your stay in the best hotels of every city. Hotels include are Oberoi, Leela, Taj, 5 star hotels and other heritage hotelsat best price in the market. Car rental services are also available for exploring the cities of Golden Triangle with Udaipur, Ranthambore and other famous cities. If you want to add some more places in your trip, you can Customize Your Tour also. So plan your vacations with Delhi Agra Jaipur Yatra which make your trip more comfortable and hassle free tour. What an admirable article you share. ultimate post! Taj Mahal is the most famous heritage monument and included seven wonders of the world if you want to visit taj mahal than same day taj mahal tour by car is the budget tour with lot of adventure.. Such a awesome post and information!! Thank you so much for sharing this post. Agra is one of the best place to visit. if you are planning to go Agra trip then book your trip with Sunset taj mahal tour from delhi is the best option to go there and see all the historical spots of Agra City. Taj Mahal Sunrise Tour & Agra tour from Delhi by car. Guiding tour from Delhi start from Delhi any time from 3.00 am till 09.00 am. Depart from Delhi to Agra. Around 3 hrs drive from expressway. Agra our tour guide will join you before tour and start your guiding tour of Agra. Visit Taj Mahal Tour Packages- built in 17th century by 5th Mughal king Shah Jahan in the memory of his beloved queen Mumtaz. Now Taj Mahal becomes the most popular destination of India. Around 2.5 million people visit Taj Mahal annually. It is open 30 minutes before sunrise time and close after sunset. Agra Fort - this massive Fort was built by 3rd number emperor Akbar in 16th century. This Fort is built 2.5 km aria. Fort is also coming in world heritage site listing. Late afternoon or evenings depart from Agra to Delhi. Evening driver transfer you to Delhi hotel or airport. WoW! I Nice Article it's useful. India is the country’ which famous for different kind of tour each the cities in India have historically back ground. But Delhi/Agra/ Jaipur is the most popular destination of North India. Golden Triangle Tour 3 Days is good for people those are interested to visit these 3 city in short time. People can enjoy to visit all these site of India. Visit - Humayun tomb at Delhi. Taj Mahal tour at Agra. Discovery Taj is India's premier Tour and Travel Company where our travel experts designs the tour for individuals, groups, and corporate. We specialize in Taj Heritage Tours, Same Day Agra Tours, Tajmahal Tour, Agra and Jaipur Tour, Golden Triangle Tours covering Delhi, Agra and Jaipur. Our North India Tours are above the benchmark which shows our guests the complete culture of India. Welcome To #travelheight #Offers Online #Booking of Day Trips by Car or Train of Agra, Delhi and Jaipur. Same Day Tours, One Day Trip by Car, One Day Trip by Train, and Day Trips from Delhi are short and effective for you. Trimurti Travels provide premier Airport's transportation service. We provide you a fast and reliable airport transfer service to and from Jollygrant Airport & Indira Gandhi International Airport Delhi. It is our responsibility to check your flight and you don't have to worry about if it is late. We strive to make sure that all clients are cared for well and brought to their destinations safely and soundly. Taj Mahal Private Tours is one of the prominent and proficient Tour Operators in Agra, Uttar Pradesh. We offer wide variety of travel related services to our clients in the most appropriate manner. Clients can avail services such Ticketing Services, Rail Ticketing Services, Hotel Booking Services and Car & Coach Rentals. We also organize the best “Overnight Taj Mahal Tour” for our clients at affordable rates. Moreover, we provide our services as an efficient Event Organizer, and we specialize in arranging events for our clients. Thank you for sharing with us.Really this is very nice and amazing post. If you are ready to see the beauty of Taj city at very lowest price then i suggest you the best tour package which take you all the places: same day taj mahal tour by car at very cheapest price. same day Agra tour by car which takes you all the popular places of Agra City to travel in India at very lowest Price. So plan your holidays and book your trip. Thanks for sharing such kind of important and valuable information. Keep posting this kind of travel related blogs with wide variety of knowledge. We really appreciate all of your efforts. Kindly contact Ghum India Ghum for the best domestic as well as international holidays deals. One of the leading travel Agency in Delhi . Welcome to Travel Height Offers Booking of Golden Triangle Tour 3 Nights 4 Days, Golden Triangle Tour 3 Nights, 3 Nights Golden Triangle Tour, 4 Days Golden Triangle Tour. Taj Mahal is the most famous heritage monument and included seven wonders of the world if you want to visit taj mahal than same day taj mahal tour by car at very reasonable price. I have read your full post and I want to say that your blog is effective and you are sharing good information with readers. We are a tour and Travel Company in Delhi provides tour package and Toyota Innova car on rent services in Delhi, NCR at cheaper prices. Agra is one of the best destination of India. SAME DAY AGRA TOUR BY CAR is the best way to visit Agra in one day. There will you see the world famous monuments Taj Mahal and about history of this city. We are offering you Golden Triangle Tour 3 Days this incredible Golden Triangle Tour Itinerary comprising the three famous cities of India-Delhi, Agra and Jaipur having grandeur, glory & history. Sunrise Taj Mahal Tour offering Jaipur to Agra Taj Mahal Tour explore the beauty of pink city with Taj Mahal and Taj city of India at very expandable prices..
You have shared some amazing photographs of Agra, Same Day Agra tour by Train lets you to take some other awesome memories from different angles, by the different angles I mean to say there are many gardens near by taj they gave some other beautiful scenes of Taj.it is a good travel package. Great shots! We are offering you Sunrise Taj Mahal Tour From Delhi, which is completely full of enjoyement if you want to book this tour so visit here. After Indian prime minister Narendara Modhi visit Muktiakth Darshan Nepal, then many inidan and Nepalese pilgrimsers fashion to darshan muktiakth. Welcome to muktinath darshan tours. 3 night 4 days Muktinath Muktinath tour Package organized by the Muktinath darshan tour agency Kathmandu. Also we give complete tour ideas by the jeep reservation to Muktinathfor 3 night days. Also there are Bus to Muktiakth for that you have to take the Bus from Kathamndu to jomsom bus for detail inquiry muktiakth darshan tours contact at +9779803940483. Muktinath darshan specialist. Muktinath Darshan tour then 19 km to muktiakth by road with jeep. same day taj Mahal Tour by car which give an opportunity to see the beauty of Taj City at very lowest price. This tour package cover all the places of Agra City at very cheapest price. So plan your holiday and book your trip now. Classic Tours India offering you Golden Triangle Tour 6 Days. Plan your holidays and explore the beautiful India. Spend 6 days tour in India you will never forget in your whole life... so book your tour now. Thank you very for sharing it, that is very nice information about Rajasthan tours if you have the plan to get a visit here:- Rajasthan Tour Package. You have an amazing trip to Rajasthan with your sweet family vacation package of India. It really a perfect travel plan for the tourists. You enjoy the Taj Mahal Tour By Train from Delhi visit here:- Same Day Taj Mahal Tour By Train. This is a very good option to enjoy same day Taj Mahal trip with unique places and some major highlights buildings. I read your blog it is helpful and very inspiring Thanks for sharing your opinion.Tourist want to visit the Taj City Of India so it is golden opportunity for you because #Classic #Tours #India offering Same Day Agra Tour by Car at very affordable price so book your tour now. Classic Tours India providing Same Day Agra Tours, Private Taj Mahal Tours, Golden Triangle Tours, Rajasthan Tours, Camel Safari Tours, Himachal Pradesh Tour. What a ultimate post and detail. Golden Triangle Tour India comprises of the three most tourist cities of the country located in the north – Delhi, Agra and Jaipur. Classic Tours India offering Amazing Journey of Taj Mahal so we offers Same Day Agra Tour by Car with expandable price. Agra is a major tourist destination which full of historical monuments..
Hi, you have really provided good information. Sunrise Taj Mahal Tour From Delhi. Welcome to India’s most sale able inbound product Golden Triangle Tour which reflects there major cities of India The harmonious blend of the capital of the country with its historic splendor, the soft romanticism that is seen at amazing Taj Mahal in Agra and the fierce magnificence of the Rajasthan desert presents India at its enchanting best. Your blog is very informative and to the point. Being a traveller blogger i find you have very good writing sense due to which you explain details about any destination perfectly, Your blog is like books of Lonely planet for various destination. Keep it up your meaningful writing. Team Splendid Taj Holidays invites you to visit the Taj city of India, Therefore we are offering Same Day Agra Tour by Car . It is one of the best tour for you to visit the Agra city, Other thn this tour you can also visit the Sunrise Taj Mahal Tour From Delhi & Golden Triangle Tour 4 Days . You can Book most cost-effective Andaman Tour Package, Tour operators in Andaman, prime agent in andaman, Andaman family tour, Andaman Honeymoon Tour, Andaman Beach Tour, budget tour in andaman, Travel Tourister. Really this is nice post thanks for sharing. I like your post. Hii. Myself Manish. You have written an excellent article. Please keep sharing. And I would like to share some information. I think that is inspiring post for all & we also provides some interesting post for you like Same Day Taj Mahal Tour by Car from Delhi, this is absolutely wonderful tour for any visitor anyone, he/she never forget this tour in whole life. Explore the beautiful culture of India and visit India’s famous destination. This Overnight Agra tour package is specially designed for foreign travelers, who want to explore Taj Mahal and other monuments of Agra city in 2 days without having any rush. do dham yatra and tell me about your interest about any other destination.